Sound and Architecture is a memoir I made for my third year of study in architecture. I decided to treat about the link between the sound and the space. 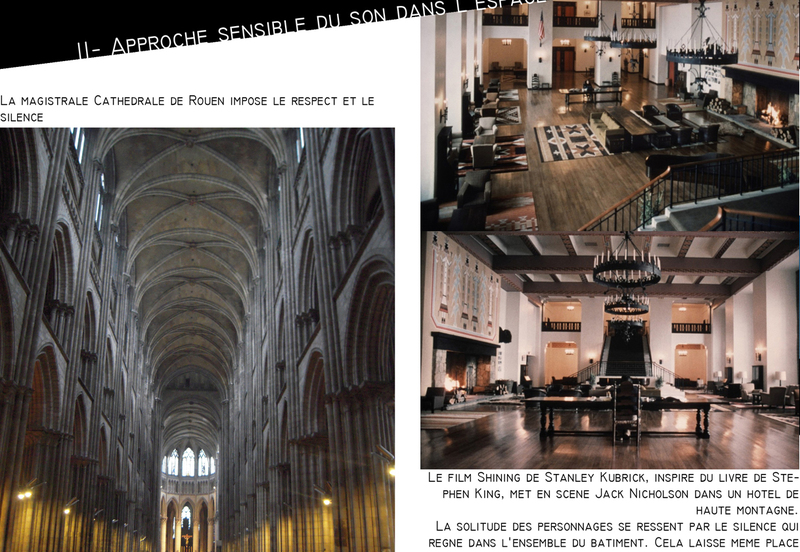 Concert hall, cathedrals, but also landscapes, and many other spaces. And sounds, music, dance, atmospheres. Every place you are running through gives you a particular feeling. The link between the architectural view of where you are and the sounds this architecture makes is strong. And unintentionally, your brain melts the whole thing to create a single thought of this moment.